The updated YouTube app offers a new design as well as improved recommendation. In addition, Google also announced unskippable six-second ads called Bumper ads on YouTube. In a separate blog post, Google announced that it is introducing unskippable six-second advertisements on YouTube, called Bumper ads. The company says that these advertisements are “ideal for driving incremental reach and frequency on mobile, where ‘snackable videos’ perform well.” Bumper ads will be available from May and will be sold through the AdWords auction on a CPM basis. 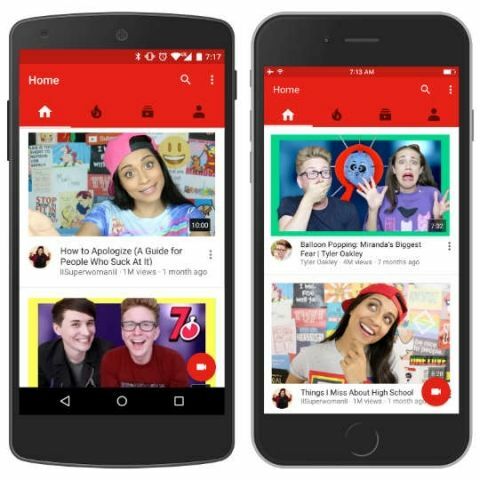 Last year, YouTube started a subscription-based service called YouTube Red that offers users an ad-free experience along with original content and the ability to save videos for offline play. The service is priced at $9.99 (approx. Rs. 660). However, YouTube Red is currently only available in the US. Which is best fitness band and useful Mobile App?